What do we mean by Ideation? People who are especially talented in the Ideation theme use their strength to hone your creativity and thoughtful approach to stimulate the dreams of tomorrow. Look for work cultures where spit-balling ideas and brainstorming is part of regular work life. Your ideas will stand out and make the sessions productive and exciting, and others’ responses will help refine your ideas. A flexible work environment is important to keep your mind focused and prevent boredom; scheduling time to think and play mental games during the workday will energize you. Apply to all kinds of jobs and companies that interest you because your ability to generate ideas can thrive in any field or business. Write down ideas as they come so you can continue to refine them and present them to interviewers or employers. Not everyone can “connect the dots” of an interesting idea, so refining yours and presenting a thorough plan will impress others. 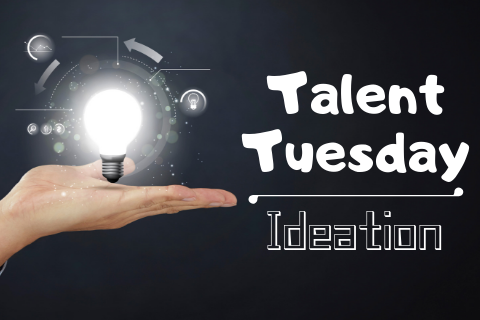 Below is a video created by the Gallup Strengths Center that goes into more detail about the Ideation Talent Theme and how it can help you on your path to success!